Skills of the character are divided into 2 types: active and passive. Active skills that you've chosen can be used in every battle. In process of improvement of your skills they become more effective in battle. To learn more about characteristics of skill and a conditions of its improvement, you have to move the mouse pointer at the chosen skill. Also each active still has a talent, which gives additional characteristics to your skill. 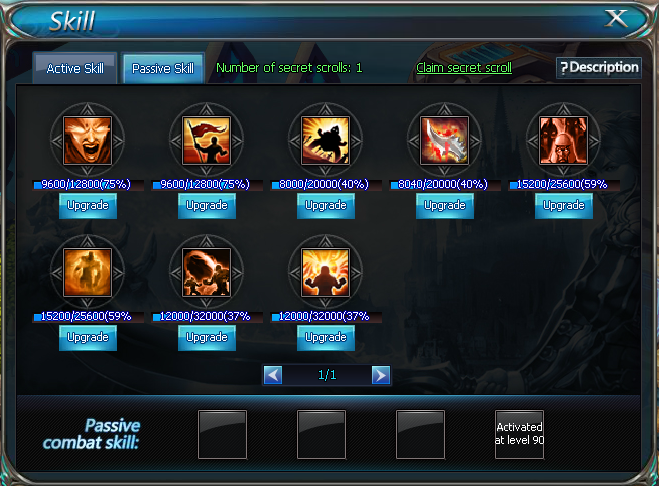 Each skill has 4 talents, but only can be activated at the time. Combining a set of options of various skills with talents, it is possible to build strategy of fight for a victory over stronger opponents in various battles. Passive skills support the hero or even the whole team in battle. 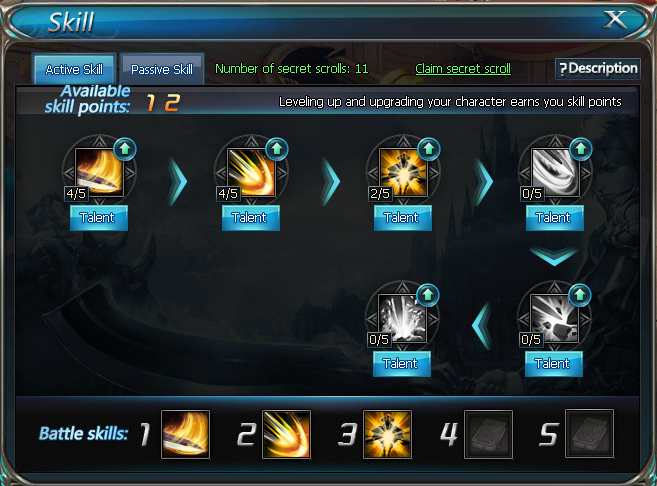 To activate skill you have to improve it to level 1 at least and reach the necessary level to activate slot for the chosen skill.